Proudly serving the citizens of Niagara Falls, Ontario since 1937. The Niagara Falls Professional Firefighters Association - Local 528, is a Labour Union affiliated with The International Association of Firefighters since 1937. The NFPFFA is also a member of the Ontario Professional Firefighters Association. We strongly advocate for the highest standards in public safety to protect the citizens of Niagara Falls and the 14 million visitors to our city each year. Our Association bargains for fair wages and working conditions for all of our members and promotes high firefighter safety standards to help protect our members. We represent approximately 132 Full time Members of the Niagara Falls Fire Department. Our members help our community through public service both on and off the job. Our members volunteer countless hours with various charities and events throughout the year. Our Association is a big financial supporter of many charities and give back all funds received back to our community. Congratulations to our newest Recruits. 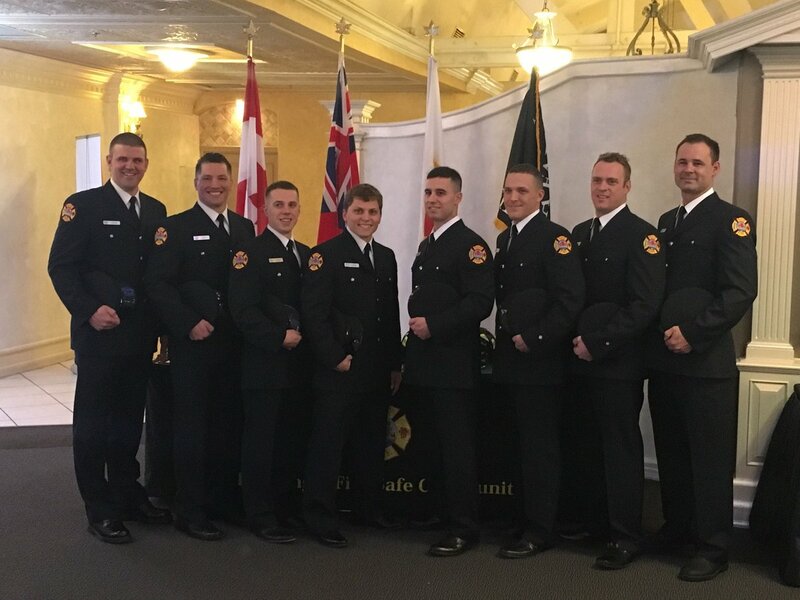 Our 8 new members graduated today, and start to serve the the citizens of Niagara Falls on Sunday. New recruits learn the "ropes"
Our new recruits learn the "ropes" in the hall...and then go out into the field to put their skills to the test. Congratulations to the newly elected Niagara Falls City Council. We look forward to working together with you on public safety. Thanks to our newest recruits for helping out and delivering some much needed food to the pop up food bank. 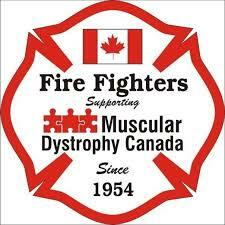 International Association of Fire Fighters (IAFF) members have stood by the Muscular Dystrophy Canada since 1954, making a huge difference in the lives of families affected by muscular dystrophy, ALS and related life-threatening disease.